With its mechanized pop-up selfie camera that was first revealed back at MWC in February, the Vivo Nex has helped kicked off what might be the our favorite smartphone design trend of 2018 – one that's finally seeing phone makers ditch the derivative 'notch' screen cut-outs that have become all too common since Apple unveiled the iPhone X last year. Chinese phone-maker Oppo has already followed in Vivo's footsteps, having announced its own smartphone with pop-up camera design last week in the Oppo Find X. However, while that design is undeniably a neat solution to what many perceive to be a design compromise, the pop-up selfie camera has brought with it new concerns regarding the return of moving parts in smartphones, which could be prone to breaking down with prolonged or frequent use. Eager to find out how the Vivo Nex's pop-up camera works, the team at MyFixGuide has performed an in-depth teardown of the device, revealing all of the components that work together to power the feature. While it might not completely assuage fears around wear-and-tear of the pop-up mechanism, the teardown does reveal a solid-looking spiral stepper motor-system on one side of the camera, along with a spring next to it that acts as a cushion for when the mechanism extends out, as well as for outer pressure. Along with a thorough look at the Vivo Nex's camera components, the teardown also explores other areas of the phone, including the linear vibration motor that works with the screen to produce sound for the device's earphone, and its unique in-screen fingerprint scanner. 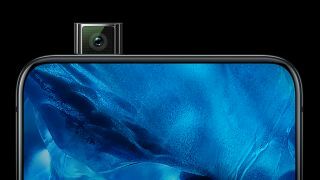 Below you'll find some pictures (courtesy of Chinese website Zol.com) which show the various components that make up the Vivo Nex's selfie camera. For the full teardown, head over to MyFixGuide.